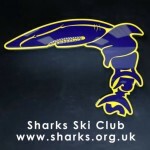 We will be holding our Annual General Meeting, at SnoZone, Castleford on Saturday 29th April at 11:30 until 12:30. As always, members are encouraged to apply for any of the Committee positions. This year we are going to have some definite vacancies on the committee as the following people have decided to stand down from their positions: Dave White – Chairman, David Henery – Vice Chairman, and Vicky Houston – Membership Secretary. I would like to thank them all for their hard work for the club over the last few years. If you think you would like to get involved, then send me your nomination. You can nominate yourself, or someone else on their behalf. If you would like to stand then please send your Nominations to me by email to Info@sharks.org.uk by 26th of April, please.